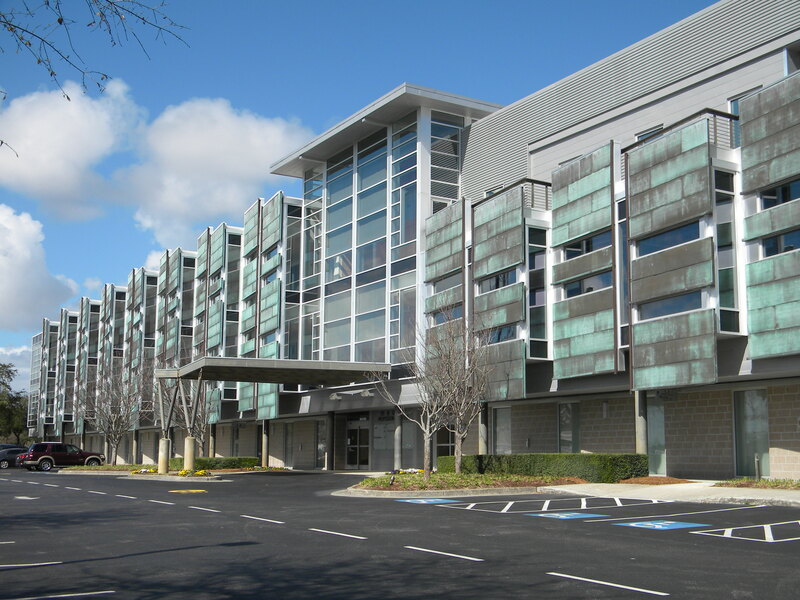 Porters Neck Professional Center is a premier three-story condominiumized building totaling approximately 60,000 rentable square feet located at 8115 Market Street on a well utilized 3.9 acre site. A variety of lease and/or purchase opportunities are available. B-2 Zoning in New Hanover County allows for various uses including professional office, hospitality, mini-storage, restaurants, and retail. Existing occupants in the building include Medac, Wilmington Health, and EmergeOrtho. The Property is well-positioned in the dynamic Porters Neck submarket of Wilmington, NC. Conveniently situated less than one-half mile I-140, 15 miles from Downtown Wilmington, 13 miles from Wilmington International Airport, 3 miles to Figure 8 Island. Excellent accessibility with direct right-in, right-out access from Market Street and interconnectivity with the Bayshore Commons Shopping Center which provides accessibility to a stoplight intersection. Within close proximity to a large concentration of amenities including restaurants and retail. The building was originally constructed in 2006 with a modern and attractive design by architect, Michael Kersting. The property is still in excellent condition. Cody Cress and Tyler Pegg of the The CRESS Group of Coldwell Banker Commercial Sun Coast Partners are the listing agents for Porters Neck Professional Center.